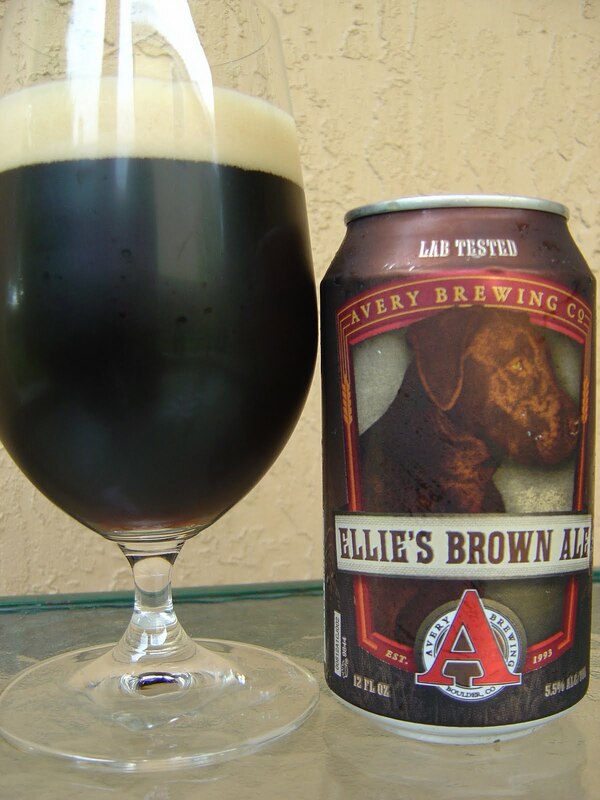 Today I'm drinking Ellie's Brown Ale brewed by Avery Brewing Company in Boulder, Colorado. Avery has joined the recent can craze, and this is one of their beers that comes in a can. If I told you around the rim of the can it said "Lab Tested" a few times, would you say WTF? Yeah, I might, too, until I saw the beautiful brown Labrador Retriever painted on the front. The story on the side let's you know that the dog on the front is Ellie after all. There's a little too much brown going on in their art, in my opinion. I'd have lightened up some areas to showcase the dog a little more, but who am I to judge? Rich brown sugar with a hint of chocolate aroma. Roasted and slightly burnt malty flavor start. That burntness actually disappears after you get used to it, just a bit of magic I guess. Rich and smooth, creamy. Brown sugar flavors and some light citrus really do a tremendous job of balancing each other out, on the lightly sweet side. Medium carbonation and body are perfect. Really good and flavorful beer. Different than most brown ales and I'm OK with that. Check it out for sure! Russ Yomiko Chocolate Labrador, 17"
Yep, nice beer and nice presentation all around.